Joseph is our very first post-release content update coming to you on September 27. We are bringing you an action-packed Arena mode filled to the brim with thrilling fights, impressive rewards, and plenty of ways to earn bragging rights. On top of that, there will be additional open world PvP opportunities with the new “Treasure Sites,” two new Tier 6 group expeditions, Improvements to UI/UX, easy-to-use Smart Casting, and new weapon abilities to add even more variety! Head out, Adventurer. The Arena awaits! 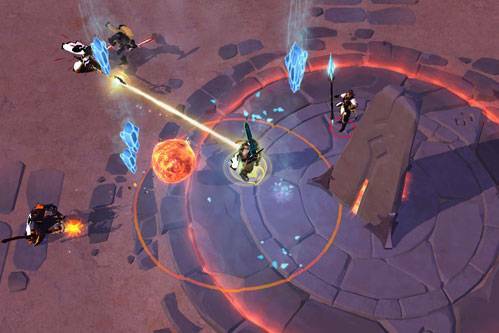 The Arena is a new mode where you are matched against worthy opponents in a 5v5 control point battle. 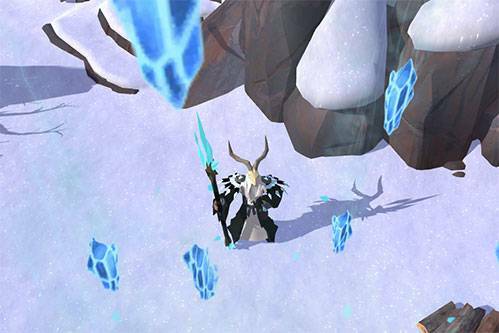 Be in the team to capture the most Runestones, maintain a high score, and you will be granted redeemable Arena Sigils for great rewards. Ready to put your skills to the test? Need to practice for higher Tier PvP battles? 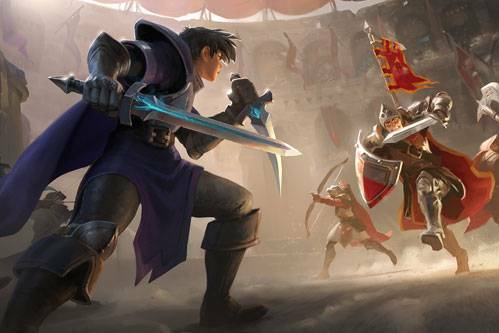 Enter the Arena and prove yourself with your friends, guild mates, or on your own. Should your team be victorious, Arena Sigils will be awarded. Arena Sigils can be redeemed for rewards or traded with others. Each character can collect three Arena Sigils for the first three winning matches per day with a maximum of nine Arena Sigils per day. Rewards are mostly of the vanity-variety and will make characters stand out. The old Relic Locker sites around Albion have been replaced with Treasure Sites. More than ten of these locations, uniquely designed to fit their respective biomes, can be found throughout the yellow, red and black zones. These sites are littered with silver, literally. Enter this area with a small party or alone to keep the riches for yourself, if you dare, as it is not without risk. Those who enter these sites are automatically flagged as “hostile” and should alert to ruthless looters. Not only can players collect the silver laying around, but also smash Urns for more. 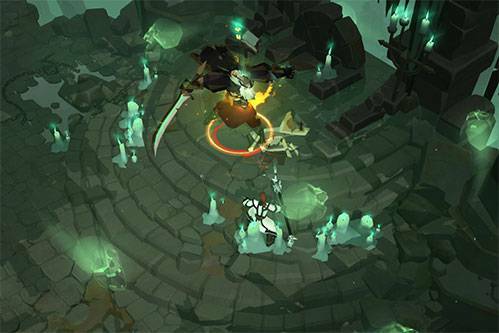 Attempting to destroy a Sarcophagus will unleash a ghost. Those who defeat the Sarcophagus Ghost are rewarded with even more silver. The old Relic Lockers are now located in the center of each Treasure Site and will be on a one-hour cooldown after being looted. The eagerly-awaited Smart Casting mechanic will be added as an option in game settings. Select from two new options based on your playstyle. 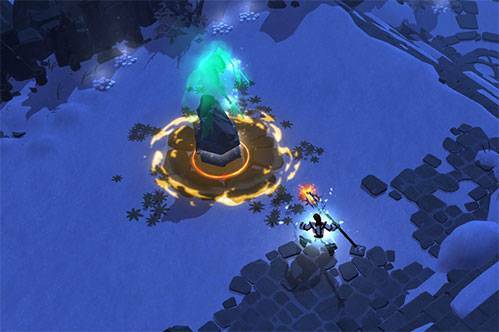 With ”Quick Cast on Button Press” selected, ground-targeted abilities will be cast in the direction of the cursor when pressing down the skill button. Or, with the ”Quick Cast on Button Release“ setting, a spell area indicator will appear at the position of the mouse when pressing and holding an ability key. 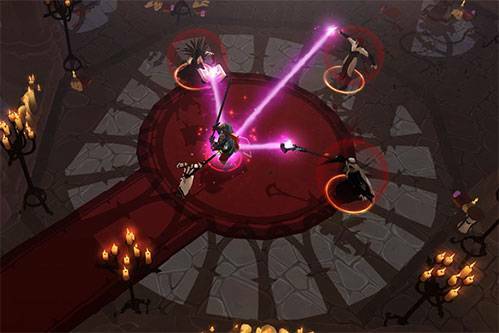 When the pressed key is released, the ability will be cast. The “Normal Spell Cast” will remain as the default setting. These will be adjustable under: Settings > Game Settings > Mouse Control. Through an expedition to find a lost Royal Guard suspected of being a traitor, you are lead to an old monastery where three age-defying sisters of Morgana’s cult await intruders. These sisters lust for minds of weak men to corrupt and intelligent women for stimulating conversations. An ancient city, was formerly used as a satellite of Caerleon that is now overrun by undead soldiers from a battle which happened ages ago. An expedition is sent out to drive out the undead, end the Governors eternal duty to defend the city, and bring and reclaim the city for the living. However, the Governor is not so willing to relinquish his duties, and must be defeated! Joseph brings some wonderful face-lifts to some of our menu interfaces. 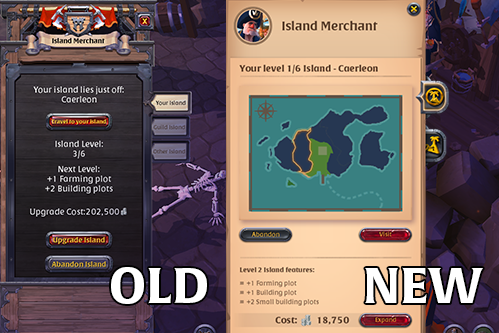 Feast your eyes on the improved appearances of the Island merchant menu and the social menu. Additionally, there will be user experience improvements to the social menu such as directly sending whispers to your friends and adding them to a party within the menu. 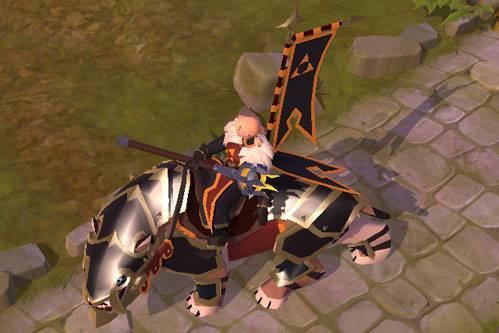 Five new abilities have been added for Bows, Daggers, Cursed Staffs, Swords and Spears starting at Tier 5. These give even more variety to these weapons’ playstyles. 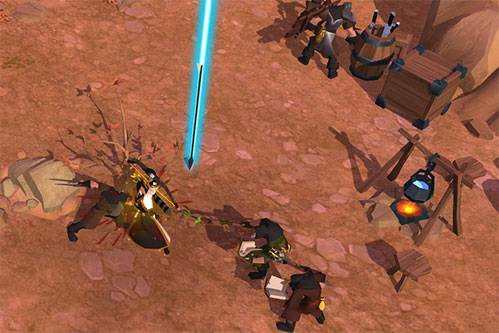 One of these abilities is the new Ray of Light ability for Bows which will root the enemy on successful arrow contact. 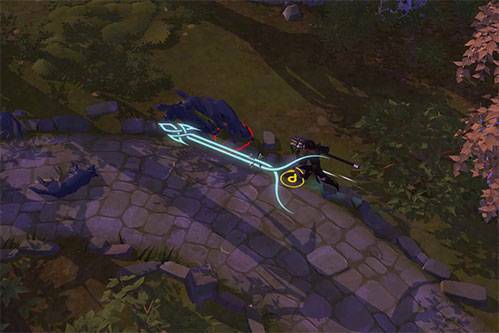 Daggers now have a sneaky ability, called “Shadow Edge,” to teleport to an enemy or ally on contact. Successfully hit your enemy, and they will be rooted for a short period of time. Open world/Hellgate fame has been increased. Reduced the channeling time to exit dungeons. Expeditions now have a gear cap dependent on tier.